As noted before the Mickey Mouse Club is a Disney blind spot for me. So of course we have back-to-back Between Books about this television phenomenon of the 1950s! 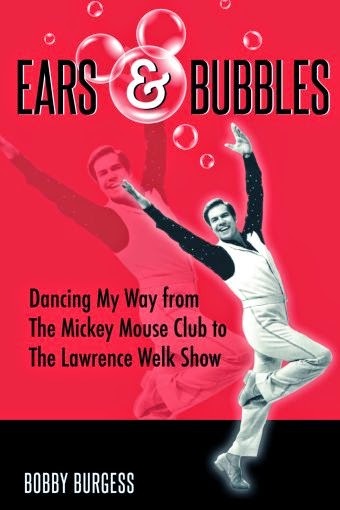 Ears & Bubbles:Dancing My Way from the Mickey Mouse Club to The Lawrence Welk Show by Bobby Burgess is a memoir of Burgess’ long dancing career. Burgess discusses his early life, how he became involved in dance and his early public performances. Burgess’ dancing skills would get him cast on the Mickey Mouse Club. He then provides a brief summary of his experiences on the Disney show. This account is then followed by his transition back into private life and eventually being cast on the Lawrence Welk Show, which at the time may have been even more popular than Burgess’ earlier success. Burgess then outlines his decades dancing for bandmaster Welk, including his key dance partners, and his continued relationship with the Welk legacy. Along with his time in entertainment, Burgess discusses his family life and his continued role in dance education. Burgess’ writing is light and positive. As a reader you get the feeling that Burgess is an uplifting gentleman who leaves you feeling good about yourself. His writing is clear and allows for a quick read that one could easily enjoy on the beach. For Disney fans, there may not be enough Mickey Mouse Club, with the chapter focused on the show being relatively brief compared to the Welk material. However, the amount of time that Burgess spent with Disney was minor compared to his time dancing for Welk. Additionally, Burgess gives us a window to another 20th century media giant in Welk, allowing us to make some comparisons with Walt Disney since he interacted with both. Now growing up I did have grandparents who watched Lawrence Welk…and I hated it. I viewed the program as a show that catered to senior citizens. And if they turned on Welk, I admit I turned to a book. But the picture that Burgess presents to me is quite different. Yes, Welk and his team did understand that they were beloved by an older audience and they made specific decisions to cater to that audience. But Burgess describes a show that provided a mixture of musical presentation styles. As Burgess presents The Lawrence Welk Show it really comes off as a true variety program. I did wonder if we would discover the “seedy” side of the Welk community. And yes there is one traditional farmer’s daughter story. But really one discovers that the Welk alumni are close-knit, which only helps to explain why Burgess stayed on for so long. Ears & Bubbles, like several other Theme Park Press titles, are available for borrowing in the Kindle Unlimited program. (Honestly as a member of this program the Theme Park Press titles are at the moment the better Disney related titles available in this subscription program.) Additionally, if you purchase through Amazon the title is part of the Kindle Matchbook program which allows you to purchase a Kindle version of the text for free when you buy a new print edition. For Mouseketeer fans this title is a must. But those not as interested in The Mickey Mouse Club would likely find this a fast and enjoyable read from a very positive personality. 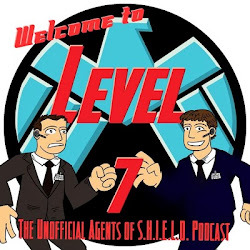 And Ears& Bubbles proves as a Disney fan you never know what connections you might find with your fandom and how it might lead you to reflect on your childhood!